According to the latest Roy Morgan Consumer Confidence Survey, Network 10’s MasterChef Australia boasts the highest number of viewers who are ‘confident consumers’. If you’re a MasterChef Australia devotee, the chances are you’re someone retailers would like to know. The latest research from the Roy Morgan Consumer Confidence survey shows that MasterChef Australia viewers are more likely to feel “confident” or “very confident” about their personal and family financial situation and the Australian economy, and whether they think now is a good or bad time to buy major household items than viewers of any other television program. In 2011 the total number of confident consumers who watched MasterChef Australia was 1.9 million, or 74% of all viewers of the program. This was 31% greater than the second highest ranked program, the Seven Network’s Monday-Friday News with 1.6 million confident viewers. Although MasterChef Australia rated highly, the Seven Network dominated the ‘confident viewer’ stakes with seven out of the top 10 programs. In addition to Seven News, the other Seven Network programs with confident viewers included Downtown Abbey, Packed to the Rafters, Dancing with the Stars, Seven’s Weekend News and Today Tonight. Network 10 rounded out the top 10 with Australia’s Got Talent, Biggest Loser and Junior MasterChef. The Nine Network just missed out on the top 10 based, with Underbelly ranked in 11th place. 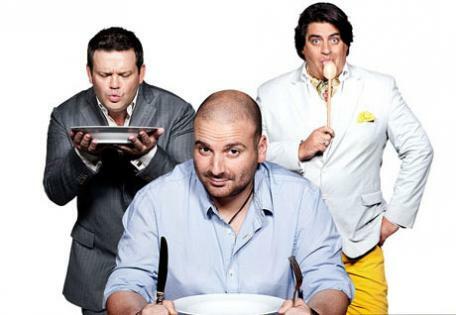 The three programs with the highest proportion of confident viewers (as opposed to highest number) are three Network 10 reality shows – MasterChef Australia, Junior MasterChef and Biggest Loser. All programs in the top 10 demonstrated an audience with at least 65% of confident consumers. Such data is very valuable to retailers and others with something to sell according to George Pesutto, Industry Director – Media of Roy Morgan Research. “Consumer confidence is quickly becoming a critical measure of consumer attitude and likelihood of purchase. “Segmenting target audiences in this way can help brands to create more targeted and efficient marketing campaigns, maximising campaign results and return on investment. It’s about being better targeted to consumers who are ready to buy now, and minimising wasted effort on consumers who aren’t in the market, even though they might be counted as part of a brand’s overall target audience. “Consumers with a confident outlook to the economic future are now the most valuable target market, particularly for higher value goods and services, and understanding these confident consumers is key to success in many categories,” said Mr Pesutto. Next time you curse the advertisements on your favourite TV show, such as MasterChef Australia – don’t! They’re there because you’re feeling confident about what’s ahead, and that can only be a good thing.